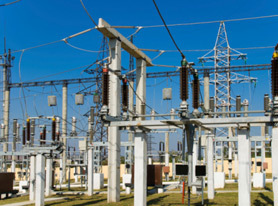 This course introduces the topic of substation transformers. Subjects discussed include how a substation transformer is physically constructed, how insulation is used to ensure that there is sufficient dielectric between energized windings and grounded components of the transformer, and why cooling of insulating oil is essential. The course also covers different methods of cooling transformers, as well as phase polarity, phase shift, and winding connections. The course concludes with how transformers are initially put into service and systems that protect transformers from extended system faults.